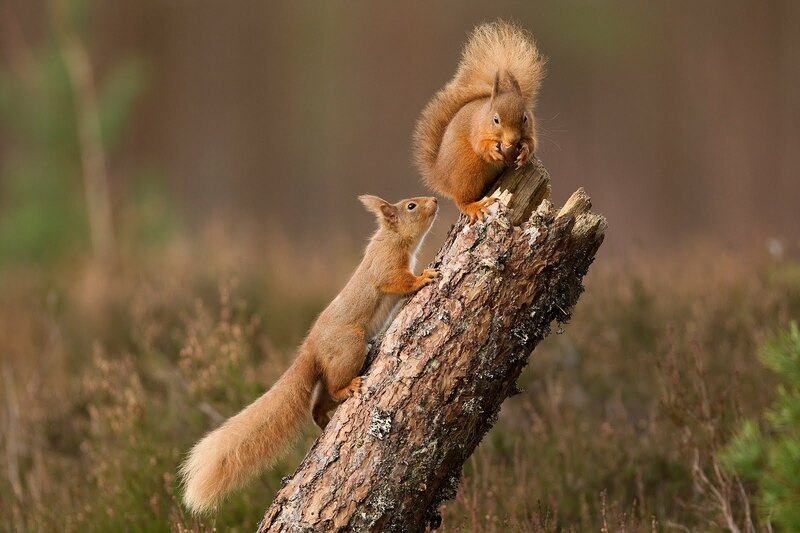 are also starting to spread out into new areas – with squirrels being sighted as far as 15 kilometres away,” said Becky Priestley, Trees for Life’s Wildlife Officer. To find out more about Trees for Life’s award-winning work to restore the Caledonian Forest and rewild the Highlands, visit www.treesforlife.org.uk. * The Red Squirrel Reintroduction Project has been made possible by grants from the Heritage Lottery Fund and People’s Trust for Endangered Species. It involves volunteer opportunities, landowner partnerships, and conservation research. All relocation sites require comprehensive habitat assessments, landowner agreements, and a five-year licence from Scottish Natural Heritage.